Conceived for industrial heavy duty applications that require enhanced cooling performance and advanced ingress protection, the NF-A14 industrialPPC (Protected Performance Cooling) is a ruggedised high-speed version of the award-winning retail model. 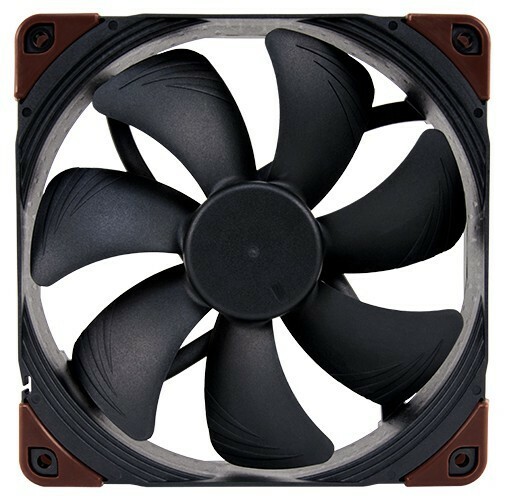 Thanks to the outstanding aerodynamic efficiency of the NF-A14 design and the use of a novel three-phase motor, the industrialPPC version provides superior airflow and pressure capacity while keeping noise levels and power consumption moderate as against comparable high-speed fans. While its fibre-glass reinforced polyamide construction and certified water and dust protection make the NF-A14 industrialPPC suitable for operation in challenging environments, the renowned SSO2 bearing technology guarantees an MTBF of over 150.000hrs. Topped off with Noctua’s trusted reliability and 6 years manufacturer’s warranty, the NF-A14 industrialPPC is an ideal choice for highly demanding applications that require superior flow rates and ultimate dependability.